On the completion of academic studies in Sakya Academy, young novices have the choice to enroll in the Sakya Institute of Higher Buddhist Studies to learn higher Buddhist philosophy which will help prepare them to be teachers of Buddhism, or Sakya Centre monastic school, which will train them in traditional rituals and dance to be specialists in ritual performance. 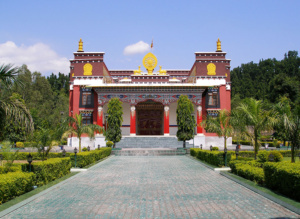 In addition to the study of Tibetan Buddhism, culture and other related subjects, the Institute also offers courses in Tibetan and English language. The Institute provides the students with free boarding and lodging as well as medical care.